While some news sites (e.g., New Advent and others) are waiting for further confirmation on this news release. However, I am commenting and sharing based on NCRegister and EWTN which usually are very reliable sources. UPDATE 3:00 PM, JULY 5: “KRESTA IN THE AFTERNOON HAS OBTAINED INDEPENDENT VERIFICATION OF THE AUTHENTICITY OF THIS MORNING’S PRESS RELEASE BY SOLT. We spoke with a priest member of the order who is at their retreat who spoke to Fr. Sheehan 5 minutes ago and Fr. Sheehan confirmed that the press release is authentic. It is now posted on the SOLT website. For many thoughts and much analysis click HERE. The latest Press Release from Fr. Corapi’s Superior, Father Gerard Sheehan, SOLT, is not good for Corapi. It seems one cannot hide sin, disobedience and deception forever. If what SOLT has just released is indeed true, even part of it, and there is no reason to doubt it’s credibility, the curtains have been drawn on Corapi’s illustrious career. This will come as a shock to many of his loyal followers. We all pray for a minimization of the fallout. I am not happy about this. I love a good Catholic preacher who can rally the troops and forward the cause of truth. I always want to believe the best and hope for the best. But this is not good. Corapi has become such a public figure that to see him collapse into such a scandalous situation is indeed distressing. Having observed his ill-advised decisions and rambling statements over the last weeks, his collapse does not surprise many who have been watching objectively. The Catholic Church has never promoted superstars or personality cults. Partly because such fame exposes one to tremendous temptations and a fall is so much more damaging. Protestantism is often energized and promoted through the cult if personality. The Catholic Church is very wise in such matters. Even with such a public collapse of one celebrity teacher the Church goes on. Interestingly, this is an American phenomenon since the rest of world doesn’t even know who Fr. Corapi is. The Church is bigger than one priest and bigger than America. The news article in the National Catholic Register is entitled “Father Corapi Resigns from SOLT.” It reveals some of the findings of SOLT’s investigation now released. Actually, I am glad this is being revealed sooner than later to avoid further damage and division. All one has to do is read a sampling of the unprecedented number of Comments on various blogs, not least of all Corapi’s own blog “TheBlackSheepDog.us” to realize the problems, divisions, scandal, hostility and pain this has caused many Catholics in America. Uncertainty, suspicion and speculation only make matters worse. — He did have sexual relations and years of cohabitation (in California and Montana) with a woman known to him, when the relationship began, as a prostitute. — He repeatedly abused alcohol and drugs. — He has recently engaged in “sexting” activity with one or more women in Montana. — He holds legal title to over $1 million in real estate, numerous luxury vehicles, motorcycles, an ATV, a boat dock, and several motor boats, which is a serious violation of his promise of poverty as a perpetually professed member of the society. SOLT has contemporaneously, with the issuance of this press release, directed Father John Corapi, under obedience, to return home to the society’s regional office and take up residence there. It has also ordered him, again under obedience, to dismiss the lawsuit he has filed against his accuser. SOLT’s prior direction to Father John Corapi not to engage in any preaching or teaching, the celebration of the sacraments or other public ministry continues. 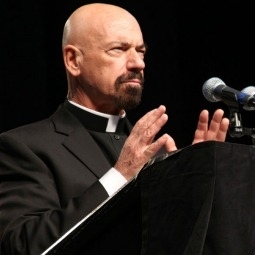 Catholics should understand that SOLT does not consider Father John Corapi as fit for ministry.